A1 Security have been members of the SSAIB (Security Systems & Alarms Inspection Board) since 2002. We have UKAS Product Certification for the design, Installation, Corrective and Preventative Maintenance of Intruder Alarm Systems. The SSAIB is a non-profit organisation which checks all professional security firms for compliance in installing security alarm systems and services to British & European Standards and is approved by all UK Police forces. The SSAIB routinely carries out inspections of our procedures, engineers, installations, maintenance completion times, call out response, false alarm analysis etc ensuring high standards continue to be met at all times. In November 2018 A1 Security received BAFE accreditation for Installation, Commissioning/Handover and Maintenance of Fire Alarm Systems. This independently acknowledges our competency to provide specific fire protection services. If you require fire protection services for your premises, then you need BAFE to be sure that the companies that provide them meet all the appropriate standards and are independently audited. BAFE is completely independent and therefore is a totally unbiased party to help competent companies and people in need of fire protection services find each other. There are registered companies across the UK and are both large nationals and smaller regional businesses who have all achieved the same high-quality standards. We are pleased to announce that in November 2016 A1 Security sucessfully attained accreditation with Chas (Contractor Health and Safety Assessment Scheme). Each time a construction company tenders for work they must meet the client’s health and safety standards to prove their competency. Assessing company’s health and safety competency is usually a lengthy and time consuming process for both the client and the construction company where a questionnaire is completed and supporting documentation is attached to see if they are to an acceptable standard i.e. health and safety policy, risk assessments, method statements, site inspections, toolbox talks etc. Becoming Chas accredited means our health and safety competency has been assessed and our health and safety management systems and documentation have reached the high standards set by Chas. In July 2015 A1 Security were awarded Constructionline accreditation following a recent pre-qualification process to meet the requirements appropriate to public and private sector procurement. Constructionline is the UK’s largest online register/database for pre-qualified contractors and consultants to the construction industry. Its aim is to improve efficiencies for buyers and suppliers in the construction industry, specifically by reducing the duplication of work and administration relating to the process of pre-qualifying suppliers for construction contracts. 8,000 buyers from over 2,000 organisations throughout the UK already use this database to source pre-qualified suppliers in the construction sector. They range from public sector bodies such as the NHS, local authorities, police and universities, to private sector businesses such as major contractors, small construction firms and consultants. 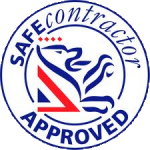 In April 2013 A1 Security received accreditation from SafeContractor, a programme that recognises very high standards of health and safety practice amongst UK contractors. With more than 210 major clients and over 19,000 contractor members, SafeContractor is one of the fastest growing health and safety assessment schemes in the UK. Under the SafeContractor system, businesses undergo a vetting process, which examines health and safety procedures and their track record for safe practice.